Hume’s An Inquiry Concerning Human Understanding (first published in 1748) is among the great works of Enlightenment philosophy. A key tenet is that all principles not based on experience should be rejected as dogmatic. Since Hume, every epistemologist from Kant to the modern era has had to contend with this argument. 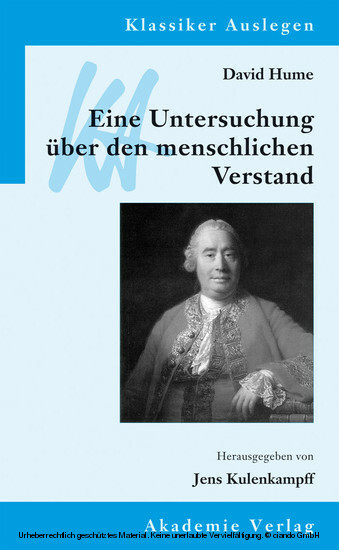 Based on our current understanding of Hume, this volume offers broad insight into his work and place in contemporary discourse. Jens Kulenkampff, University of Erlangen-Nuremberg, Germany.